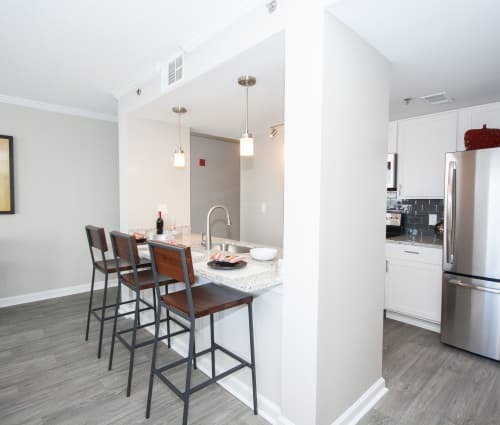 Experience high-rise living at The Eva Atlanta — a newly renovated, upscale apartment community in the Sandy Springs neighborhood of Atlanta, GA. At The Eva Atlanta, access meets accessibility. To us, that means blending high-rise living with your high-end lifestyle. 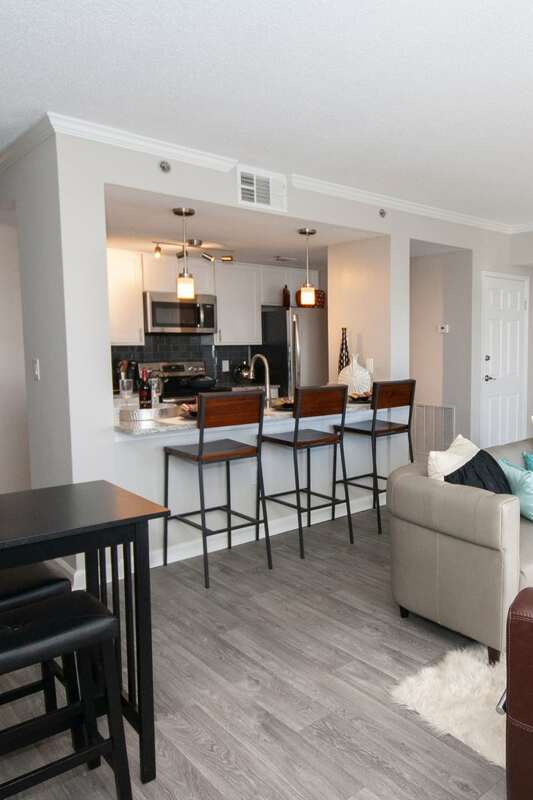 Our one, two, and three bedroom apartments at The Eva Atlanta include the latest upgrades and finishes, selected to enhance your living experience. 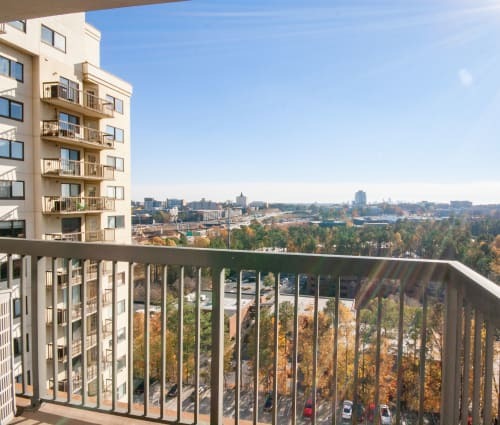 Pair that with a location near all of your favorite restaurants, bars, and high-end retailers and you’ve got an enviable Atlanta lifestyle. 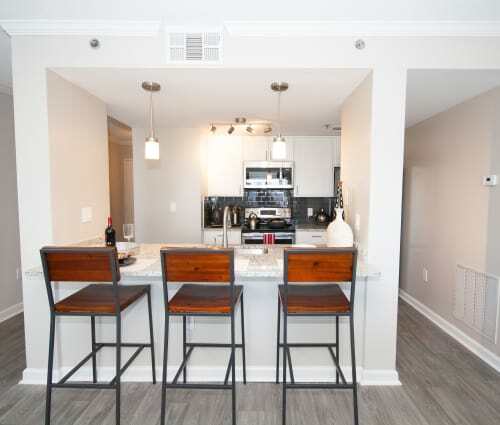 The newly renovated one, two, and three bedroom apartments at The Eva Atlanta include the contemporary finishes and premier amenities you expect from an upscale apartment community in the Perimeter area. 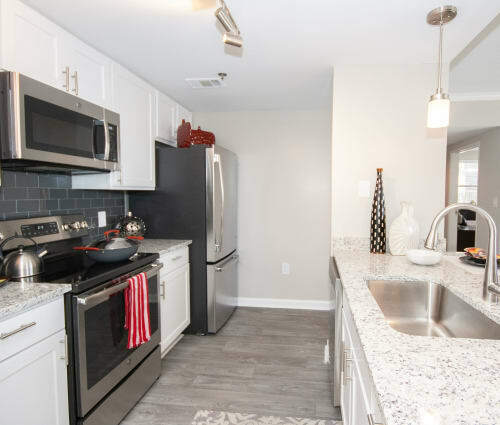 Stainless-steel appliances, granite countertops, and custom cabinetry create modern kitchens where you’ll be excited to prepare meals. Enjoy the style and convenience of wood-style flooring. For those with an ever-expanding wardrobe, walk-in closets may be our biggest draw. Living in our iconic building, you’ll reach new heights in modern, high-rise living at The Eva Atlanta. 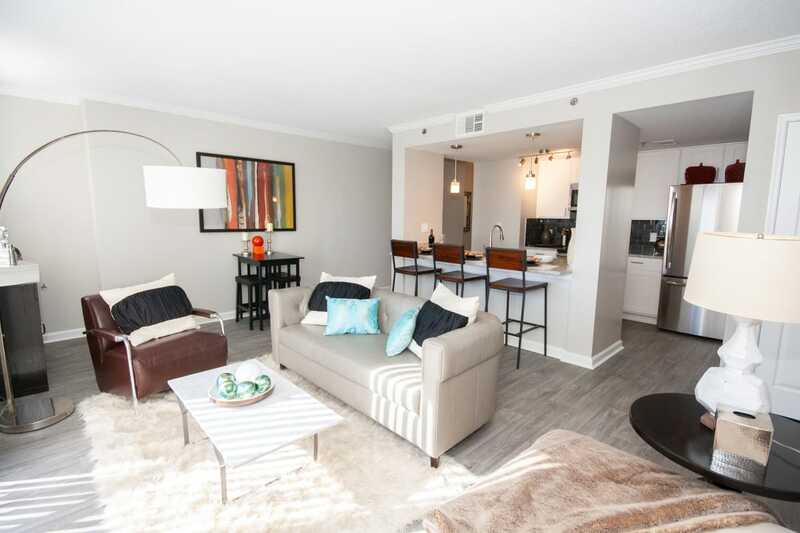 We’ve included community amenities designed to not only make your life easier, but to expand your network. Meet friends and neighbors at our premier swimming pool. 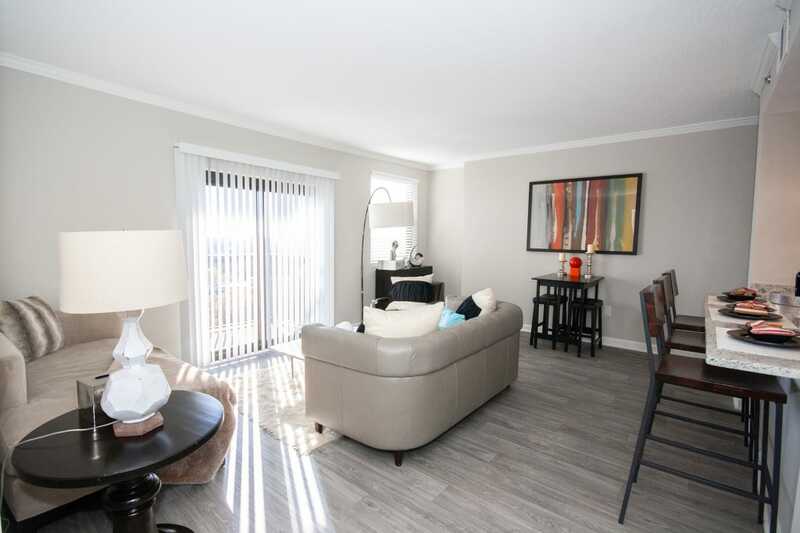 Ditch your monthly gym membership fees and work out from the convenience of your apartment community. You’ll appreciate the equipment in our on-site fitness center. Your closest canine companion will also love spending time along our walking trails and nearby park. 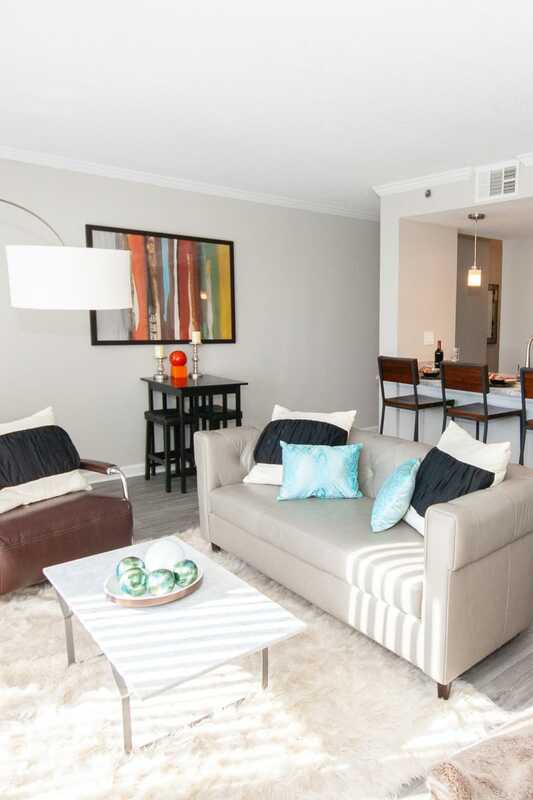 Discover how vibrant your lifestyle can be at The Eva Atlanta. 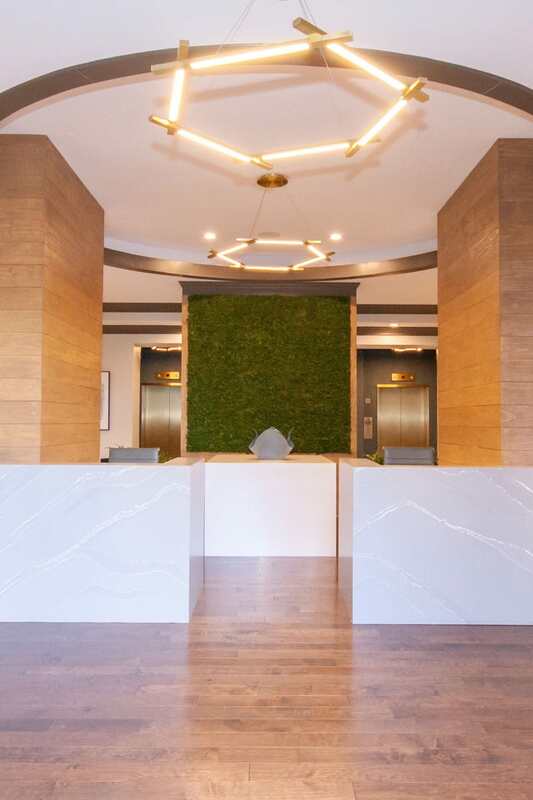 Contact us to speak with a member of our leasing staff and learn more about the high-end luxury awaiting you at The Eva Atlanta. You work hard and your career comes first – at least at this point in your life. When you come home, you want to be able to play as hard as you work. And why not? You deserve it. 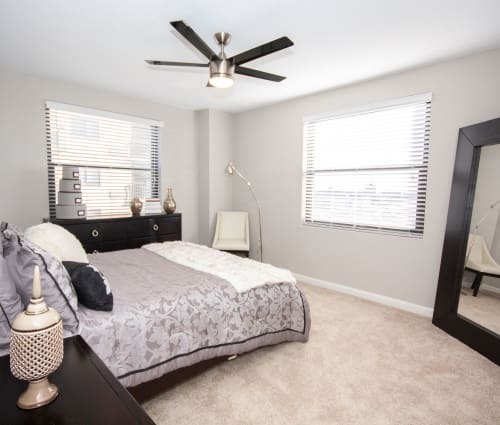 The Eva Atlanta places you within easy access of all the Sandy Springs hot spots you’re interested in checking out. Meet friends for happy hour at The Pub Perimeter. Treat that special someone to an evening of fine dining at Eclipse di Luna. When work calls, you’ll be ready.